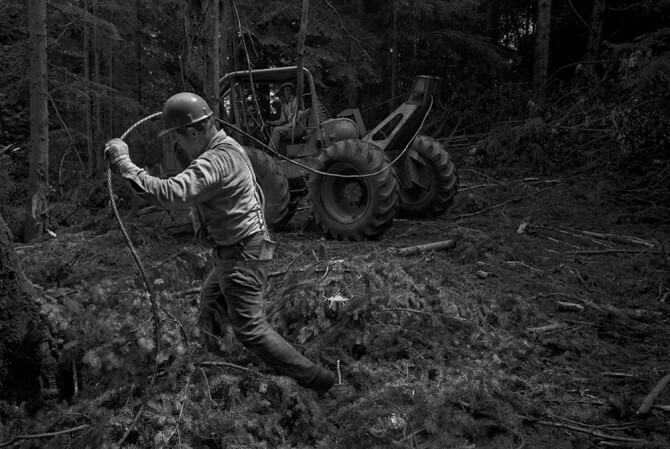 With his usual background being in documenting the United States social scene, professional photographer Larry Fink showcases his work from the 1980s where he spent time documenting the pillaging of the Olympic Peninsula Forest in western Washington, USA. This never-before-seen work by Fink, who has a photographic history of 45 years, has been collated and turned into a book published by London-based publisher Stanley Barker. 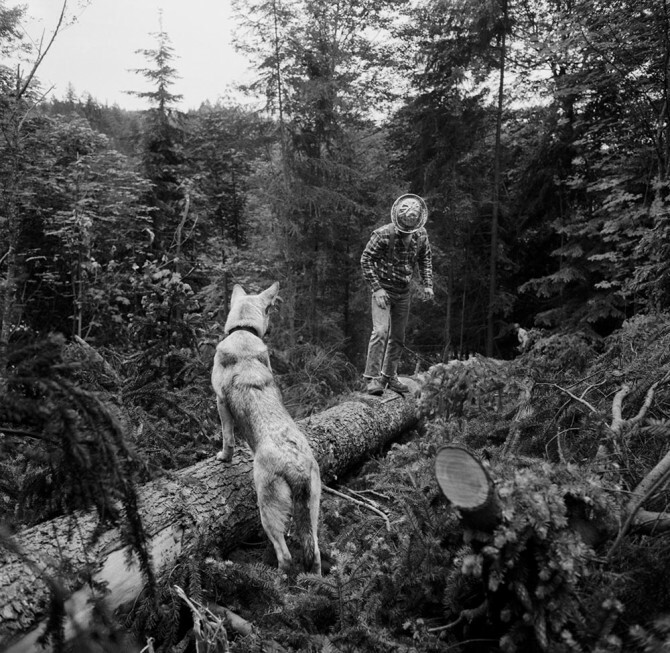 The book, titled Opening the Sky, will allow the world to see into Fink's experiences while following and photographing the journey of the loggers. Below, we have compiled a gallery of a selection of the images featured in Opening the Sky — you'll want to add this book to your collection, not only for the beautiful photographs, but for the story told and the messages to take away.